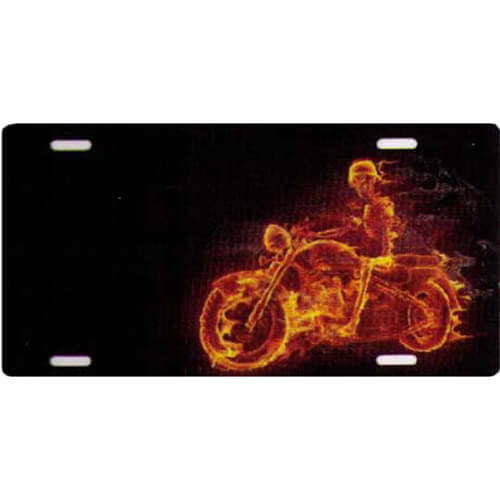 Motorcycle & Harley Davidson themed novelty license plates for cars and trucks. Flaming chopper on a black background. 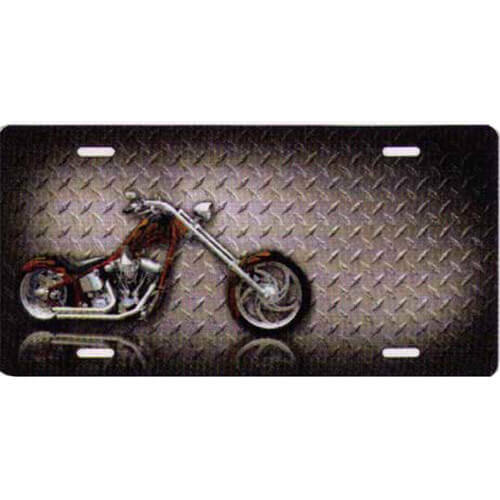 Chopper on a diamond plate background.